"It's important that men receive this information. Many men with high blood pressure or heart problems, for example, also suffer from erectile dysfunction. And here's something they can do about it themselves without needing to go to the psychologist or look at their relationship with their partner, which some men find difficult," says lead-author Helle Nygaard Gerbild, Ph.D. student from the Research Unit of General Practice, Institute of Public Health at the University of Southern Denmark. "Exercise improves function whether you want to prevent erection problems or whether those problems are just starting," says Gerbild. "We can't see any limit. Perhaps, you can't have too much of a good thing," says Gerbild. "Perhaps some men will be more motivated to know that they can improve their erectile function, sexual health, and quality of life, rather than just being told that they can live longer," says Gerbild. Physical activity stimulates the body's production of nitrogen oxide, allowing the blood vessels to expand. This is essentially just what the popular medicine, Viagra, does. 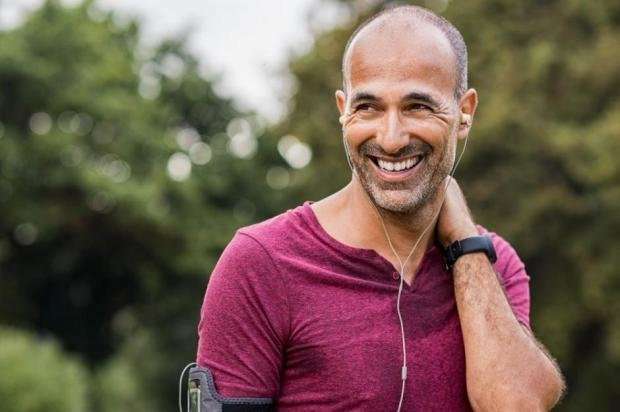 "We knew that physical activity reduces the risk of erectile dysfunction, but here we see clearly that it could also be a form of treatment. This makes sense because when you create better flow through the blood vessels, you are actually treating the very cause of erectile dysfunction. So I think that this study could very well lead to a treatment," she says. "I think that we should work with the least invasive treatment, and what we know is the healthiest choice. Now that we know the degree to which exercise improves our health, I think we should focus on this in the first instance instead of medical treatment," says Kristensen. "We chose to make the cut there because we could see an effect when people trained on average a little over the half hour exercise recommended by the Danish Health Authority. No doubt it also helps to follow the official recommendation for exercise, but if you want to solve problems or maintain the beneficial effects for impotency, then you probably need to do a little more," she says.